We specialise in frameless glass supply and installation in and around Melbourne. As a reputable company, we pride ourselves on quality and service to all areas of Melbourne. Our products have a stylish, modern look that is the perfect addition to any newly renovated bathroom, home or pool area. Create a luxury, elegant home with our team of experts. WeOur products are custom made to suit your specific needs right here in Melbourne, allowing us to offer a quick turnaround of your order with a personal and professional service. As a dedicated, local company, we can give you a specialised service and product that’ll last you for years to come. Our glass splashbacks and frameless glass shower screens can be incorporated into your next renovation or extension. 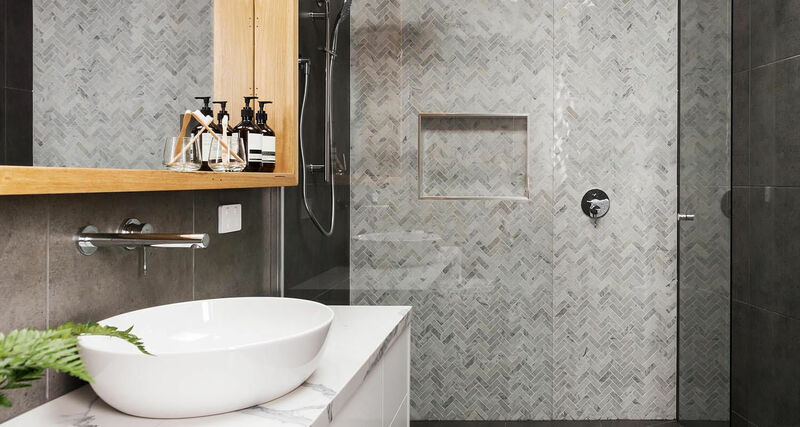 If it’s a new home you are building, we can not only help with splashbacks and frameless shower screens, we also have an extensive range of products and services that we can offer. Take a look at our specialties below. Our friendly, experienced team are able to provide you with a fantastic solution for your home renovation or commercial space. We have the knowledge and expertise to get you the look you’ve envisioned. Melbourne Frameless Glass is only limited by your imagination, so get in touch and let us know what your vision is. Whether it’s glass splashbacks in the kitchen or laundry or frameless glass shower screens or mirrors in the bathroom, we can help you achieve this. Enquire today, or take a look at our gallery to see what our past clients have created with us. We are happy to guide you through making the right decision, whether it’s a small personal project or a larger job designed to impress.